Considering that over 14 million articles were published on the platform daily last year, there’s a good chance that what’s trending on Pinterest is trending globally. 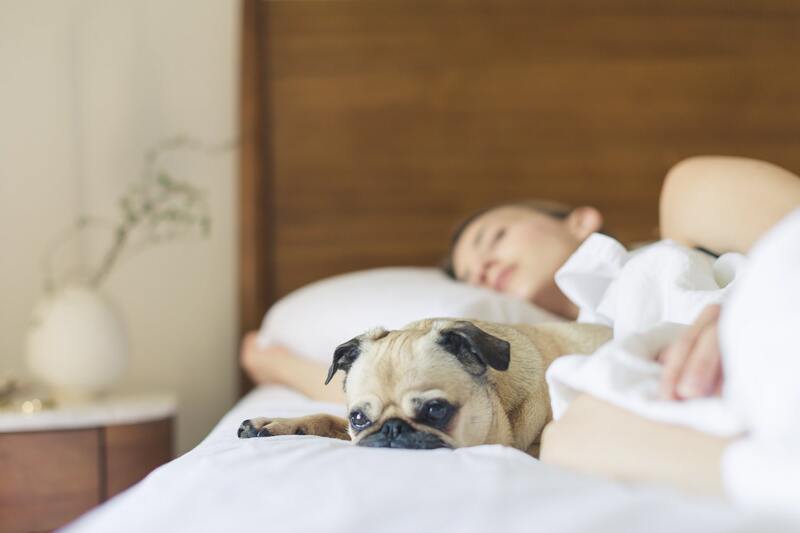 And according to Pinterest 100, searches for sleep optimisation were up 116% in 2018, which would seem to indicate that many of us are concerned with not only getting enough sleep, but with getting good quality sleep, too. • It enables your body to rest and recharge so that it has enough energy to function optimally. • As you sleep, new information acquired during the day moves from your short- to your long-term memory through a process known as consolidation. • Insufficient sleep has been linked to several serious health issues, including a compromised immune system, obesity, heart disease and type 2 diabetes. • Too little sleep can affect brain function. Ensuring you get a good night’s sleep starts from the moment you wake up each morning. In fact, it’s advisable to wake up at the same time each day in order to keep your circadian rhythm or body clock on track. Here are some of the other ways you can ensure that you’re getting enough good quality sleep. Your bedroom should be a space you look forward to retiring to at the end of a busy day, so make sure it’s peaceful, the right temperature (not too hot or too cold) and has soft lighting. Good quality bed linen and a pillow that offers sufficient support for your neck are also key and will ensure a good night’s sleep when you hit the sack. Good to know: Screens, whether it be your phone, laptop or tablet, give off a blue light that reduces melatonin production and impacts your sleep cycle. The answer? Make your bedroom a no-screen zone or, if you can’t, turn your device off at least one hour before bedtime. It’s important to develop an evening schedule and stick to it. Once you’ve established what time you’ll be switching the lights out at night, think about how you’d like to spend the time before that. You may want to take a warm shower, read a few chapters of your book, do a simple yoga routine or some deep breathing exercises. If you’d like to find out more about cover from Standard Bank's direct life insurance services, get a quote or request that a customer service agent call you back.